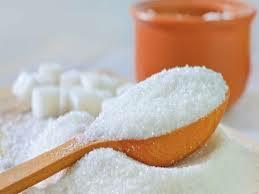 Sugar substitutes are food additives that take the place of your regular table sugar, and are generally much sweeter. Usually helpful in weight management and diabetes, these substitutes also help fight tooth decay, and are effective in reactive hypoglycemia (drop in blood sugar level). Despite these advantages, sugar substitutes have many controversial questions that beg answers like whether their long term use affects health badly, how much of consumption is safe, and whether they really can function as real sugar replacements. A better understanding of sugar substitutes may help answer these questions. Aspartame – is 200 times as sweet as sugar; can be used as table-top sweetener or in frozen desserts, gelatin, gums and beverages. Because it has such high intensity of sweetness to it, very little is required in sweetening food products, and therefore useful in reducing the number of calories. Saccharin – is the first artificial sweetener (non-natural sugar substitutes) synthesized in the late 1800s. Compared to Aspartame this substitute is 300 to 500 times sweeter than sugar and find its use in toothpastes, dietary beverages and foods. Stevia – is quite popular because of its unique characteristics of zero glycemic index and zero calories. Stevia has been widely used as a natural sweetener in South America for centuries and since the 70s in Japan. Sucralose – is about 600 times as sweet as sugar, and is used in beverages, frozen desserts, chewing gum, baked goods and other products. This particular sweetener, unlike others, remains stable when heated and hence their great use in baked and fried goods. There are many other sugar substitutes like Acesulfame-K, Neotame that are approved and others that are under continuous developments. Sugar substitutes differ slightly in the flavours they offer, so whether you choose one over another is just a matter of taste. A fairly simple observation we can make from above described sweeteners is that they mostly are hundreds of times sweeter than sugar. A weight loss diet based product generally requires very fewer amounts of such sweeteners helping you cut majorly on your calorie intake. Losing weight becomes less stressful if you consume such products because you are not only offered the same (if not more) sweetness as that of a normal sugar-rich food, but you are also taking the same amount of food you normally eat, of course without having to worry about consuming extra calories in the process. The long-term benefit is weight-loss. In diabetes, taking artificial sweeteners helps because they are metabolized very slowly by the body system which allows for maintained and balanced sugar levels. The case is otherwise when you consume regular sugar (sucrose), where diabetics generally have difficulty regulating their blood sugar levels. Artificial sweeteners also are a good alternative where there is excessive secretion of insulin. This happens in reactive hypoglycemia where insulin is produced in excess, and which after getting absorbed in the bloodstream makes glucose levels in the blood to fall below their required level leading to improper body and brain functioning. Diet soda is a popularly marketed and consumed product that boasts low calories. But how much of their consumption is actually harmless and safe. These however as mentioned are maximum amounts. A regular amount for any sugar substitute should be much restrictive, and needs to be two servings per day. Consuming a lot of sugar substitutes may also affect your weight loss program in a way: it leads to increase in hunger because unlike your regular food it has less nutritional value. While these substitutes are considered generally safe for consumption, these aren’t recommended (unless advised otherwise by the physician) for children and pregnant women. The sweetener aspartame should be avoided by people suffering from the phenylketonuria disease. Aspartame contains an amino acid phenylalanine, which people who have the disease don’t have the ability to break down. Hyper levels of phenylalanine in the blood can cause mental retardation. The important aspects when consuming sugar substitutes are in understanding why you need them, in understanding their impact on your health, and knowing how much of their intake is safe for you.